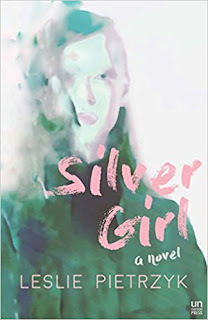 My Review: I was given an ARC of Silver Girl through a partnership with Rockstar Book Tours in exchange for an honest review. Silver Girl transports us back to the 1980s in a flurry of Tab and typewriters, where a nameless narrator has escaped her past by moving away to college. There she meets, Jess--beautiful, brave Jess from a wealthy Chicago family who flies through life with reckless abandon. As their college years progress, the narrator and Jess become closer at the same time that the chasm of secrets widens between them. The narrator is desperate to keep her past a secret-- from Jess as well as the reader. Meanwhile, she spirals into self-sabotaging behaviour that throws all of her relationships onto the rocks. The narrator struggles to reconcile the person she wants to be--wanted, loved, and finally a person of value-- with what the circumstances of her past push her to be-- the “monster.” As the narrator falls from grace throughout the book, she continually minimizes her behaviour to the reader and lies to all those around her until it becomes difficult to trust her. Is the narrator telling the truth, or lying to the reader like she lies to her friends and family? Who is the narrator, really, and what about her past has left her so damaged? An incredible character study, Silver Girl is all about relationships: between best friends, between sisters, between parents and children. The book has no discernible plotline, in the same way that real life doesn’t either, but is written with a comfortable pace and mysterious tension that keeps the reader turning pages. Right from the first page, the mystery of the narrator grabs and doesn’t let go-- who is this girl? And what is she running from? The book begins on the day the narrator moves into the freshman dorm, where she meets Jess for the first time. The end of the chapter gives us some interesting foreshadowing when Jess decides the narrator isn’t afraid of much, and while the narrator doesn’t agree with her, she also doesn’t object. “She could believe what she wanted, and I didn’t have to lie.” As their relationship develops, we see how the narrator bends the truth: not always by outright lying (though she lies a lot by the end) but by letting people make their own assumptions without challenging them. The narrator is especially fascinating because as her downfall progresses and we see her turn to destructive behaviours, her actions are at first understandable, but she continues to escalate until the character you once sympathized with becomes unlikeable. All of this was done without resorting to dramatic lengths—the narrator doesn’t haven’t to scream or use violence or key anyone’s car to be destructive—which is a pleasant subtly. As well, every character was so beautifully flawed! Even little Penny was both the darling, innocent victim as well as a troubled, disruptive brat, which was so awesome to see! Pietrzyk doesn’t shy away from the dark side when creating complex, dynamic characters. When she shows the characters’ dark sides, it’s not in an attempt to sway the reader’s opinion. The characters simply are-- their good and bad parts--and this allows the characters to have more nuance. The writing itself is both lyrical and to the point, both wildly expressive and yet down to earth. The writing style focuses heavily on mundane details, and the observations that come out of those details were both beautiful and tragic. I really loved the level of detail, as I felt it helped reveal things about the narrator as well as set a vivid scene. However, there were times where I felt the book veered too much into detail, which slowed down some scenes. The book was written in a non-linear fashion which worked so well. Because the story is not about a plotline and more about revealing the characters’ true “character,” the non-linear progression was effective in tricking the reader into making their own assumptions about the narrator. This non-linear style allowed the author to revisit scenes later in the book and reveal more information, which could totally change the reader’s perspective of the situation. The non-linear style is another way in which the narrator manipulates how the reader sees her, which made for an interesting read. Despite this grand fall, Silver Girl gives us a lot to connect to. The narrator finds a way to redeem herself at the end, and figures out how to reconcile her past with the person she wants to be. All throughout, we see the depth of the narrator and Jess’ friendship, as well as the bonds of sisterhood as Jess loses one sister and gains another, while the narrator struggles with what to do for her own sister. All of it speaks to a human experience that’s both messy and profound, that means nothing and everything all at once. TL;DR: All in all, 4/5 stars. An incredible character study of a college girl who can’t stop running from her past, even when it starts to hurt the people she loves. Leslie Pietrzyk is the author of two novels, Pears on a Willow Tree and A Year and a Day. This Angel on My Chest, her collection of linked short stories, won the 2015 Drue Heinz Literature Prize and was published by the University of Pittsburgh Press in October 2015. Kirkus Reviews named it one of the 16 best story collections of the year. A new novel, Silver Girl, is forthcoming from Unnamed Press in February 2018. 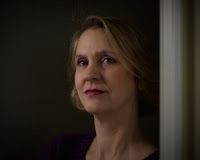 Her short fiction and essays have appeared/are forthcoming in many publications, including Hudson Review, Southern Review, Arts & Letters, Gettysburg Review, The Sun, Shenandoah, River Styx, Iowa Review, TriQuarterly, New England Review, Salon, Washingtonian, and the Washington Post Magazine. She has received fellowships from the Bread Loaf Writers’ Conference and the Sewanee Writers’ Conference. Pietrzyk is a member of the core fiction faculty at the Converse low-residency MFA program and often teaches in the MA Program in Writing at Johns Hopkins University. Raised in Iowa, she now lives in Alexandria, Virginia. 3 winners will receive a finished copy of SILVER GIRL, US Only. Ends on March 20th at Midnight EST! If you enjoyed my review, check out some of the other stops on Silver Girl's blog tour!